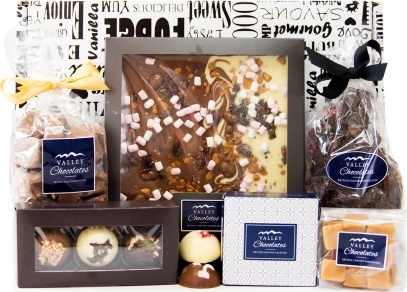 Satisfy those chocolate cravings with this superb selection of luxury chocolates and treats. Not only have we included the very best products, but we have also packaged everything perfectly for the most elegant presentation. Send for birthdays and special occasion or just for the love of chocolate.